I did a little presentation to a group students and guests at Daku Resort, Savu Savu, Vanua Levu, Fiji this week. 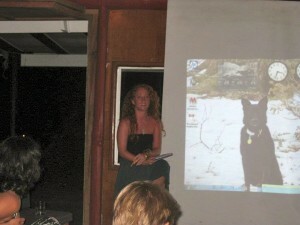 It was a last minute request and I ended up with a dog as an onscreen companion instead of any fancy slides. (Note to self – make a powerpoint presentation for next time I’m asked!). Why did I make the massive step in the first place? Principle around which Island Spirit is based. Village life and respecting the culture. How eco tourism can easily do more harm than good if not managed properly from the bottom up. Challenges being young, white and female!